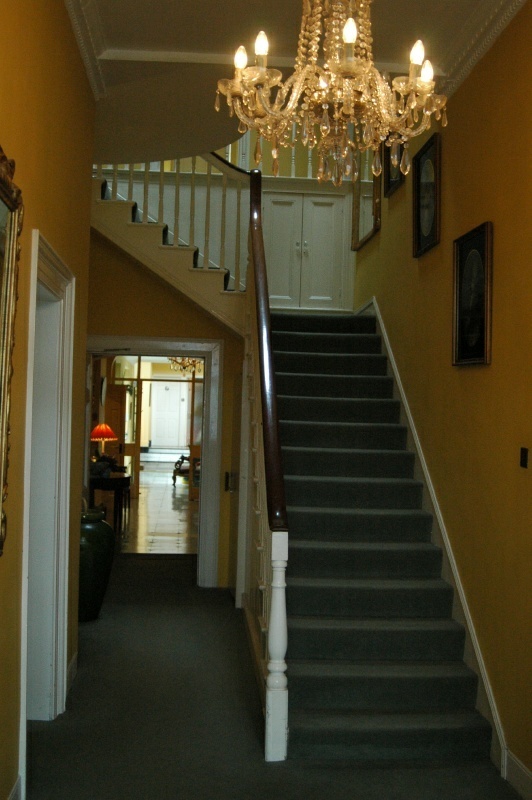 Foyer of the Rosleague Manor House. This is a stunning place, and a place to go to be pampered. A refurbished, elegant manor, it contains only about a dozen rooms, and each guest is treated, genuinely, as a guest, not a customer. It is expensive, but well worth the expense if one is looking for a genteel, elegant experience -- and the cuisine in the dining room is without fault, as far as we could tell from one night's experience.